Are YOUR cards in the mail? Being photographs, I don’t think these technically qualify for IF, so I’m not linking them up, but do check out Illustration Friday for some other fabulous interpretations. Maybe I’ll have some time later this week to come up with something else! 😉 HA! Merry Christmas, my bloggy friends! such a beautifl family, so happy !!! Merry Christamas to all of you! Merry merry merry and a ho ho ho! Hey Krista, it’s a perfectly legitimate post for “Mail!” At this point, anything goes! tehehe, love your Christmas card Krista, Merry Christmas to you and your family. Very cute! Love your bow. You made it into your own art. Hi Krista!!!!!! 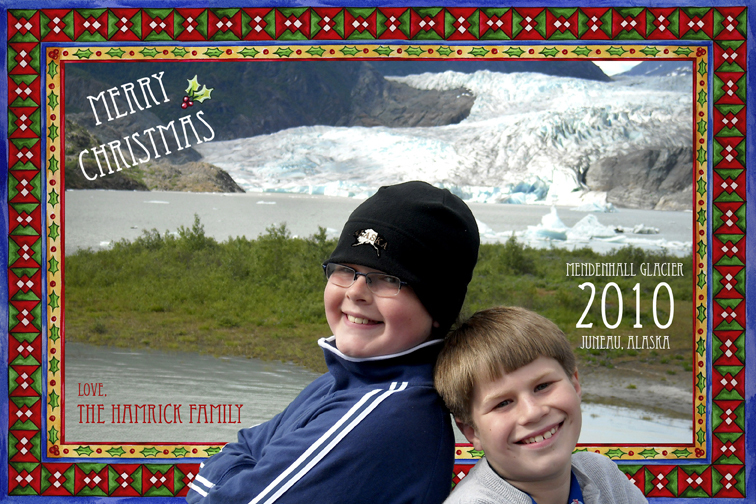 Your Holiday cards are awesome…….what fun and I know whomever receives one will be thrilled!!!!! Wishing you and yours a Magical Holiday Season!!!!!!!! Awww! What a beautiful family! I hope a lot of people stop by. This is such a sweet Christmas greeting. Merry Christmas to you and your loved ones Krista. I have the day off today… so I am wrapping and sending today! I also got to work on IF early instead of waiting till I get home from work on Fridays. YAY! 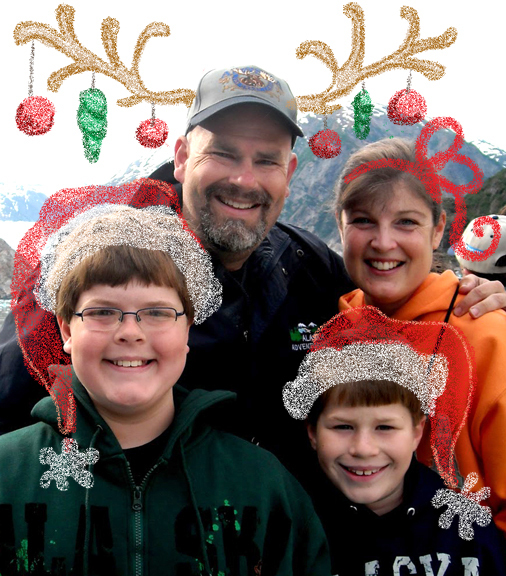 I still think you should submit your family pic, since technically there is artwork on the photo :o) Love it! !